Although not openly discussed, many women are unhappy or embarrassed by the look and feel of their genital region. As a result, some women are unaware that labiaplasty and vaginal rejuvenation can address many of their concerns and, in the process, boost their self-confidence and quality of life. Whether it’s physical discomfort or embarrassment you are feeling, Dr. Traci Temmen can help you feel confident about your most intimate area. As one of the top female plastic surgeons in Tampa Bay and the country, Dr. Temmen possesses the education, training and experience needed to perform labiaplasty and deliver consistently successful results. Utilizing the most advanced techniques and technology available, Dr. Temmen provides individualized treatment to ensure each patient achieves their desired outcome. In addition, her gentle and compassionate demeanor creates a warm and safe atmosphere for patients to discuss their most intimate concerns and goals, without feeling embarrassed, judged or misunderstood. We invite you to learn more about labiaplasty and how it can help you become a happier, more confident you. Dr. Temmen is one of the few board certified female plastic surgeons certified by the American Board of Plastic Surgery. 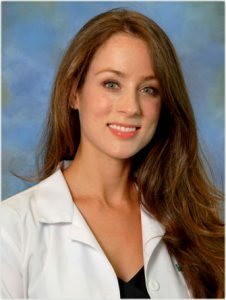 She earned her medical degree from the University of Pennsylvania School of Medicine and completed a rigorous six-year plastic surgery residency training program at the University of South Florida. Dr. Temmen provides expert treatment and care to all patients at her private practice, which is located at the Plastic Surgery Center of Tampa. She adheres to the strictest standards of ethics and safety and has hospital privileges to operate in all major Tampa hospitals. In addition to labiaplasty and vaginal rejuvenation, Dr. Temmen is highly trained and skilled in plastic surgery procedures focusing on the face, body and breast areas. Experience: Dr. Temmen has spent years refining her technique and has performed hundreds of labiaplasty procedures to deliver consistently successful results. Industry leader: Dr. Temmen is one of the few female plastic surgeons in the country who is board certified by the American Board of Plastic Surgery. Individualized approach: Each treatment plan is customized with each individual patient’s unique needs and goals in mind. Hand-on care: Dr. Temmen personally works with each patient and is there throughout their entire plastic surgery journey. Natural talent: Visit our before-and-after photo gallery to view our patients’ beautiful and natural-looking results. Boutique style practice: We foster a private, intimate and personalized environment for our patients to feel at ease. Friendly and knowledgeable team: Our all-female staff will listen to your needs and goals to create a positive and comfortable experience. To learn more about the services Dr. Temmen offers, schedule a consultation with Dr. Temmen. Please call our Tampa Bay office or send us an email today.